To understand why life insurance coverage is important it helps to use the visualization process: picture what would happen to your loved ones if you were not around. Who would pay the mortgage? Would there be sufficient funding to send the kids to a good school? Would there be enough money for them to maintain an acceptable standard of living? By way of the death benefit, life insurance is one of the most cost-effective ways of generating funds to provide for your beneficiaries when you are gone. Whether you purchase term or permanent life insurance, these policies can provide you with the peace of mind of knowing that your loved ones will be provided for in the event of your passing, typically without requiring you to set aside large amounts of money today to pay for the protection the policy provides. In this article we will take a closer look at the type of situations where purchasing a life insurance policy is most appropriate, as well as exploring how you can use cash value life insurance to set aside additional savings or to establish your own personal banking system. One of the most powerful functions of life insurance is its ability to help protect your family’s lifestyle and provide them with financial security by helping to replace the income earned by a family breadwinner in the event of his or her passing. Whether yours is a one or two-parent family, the loss of your income can have a major impact on your loved ones’ financial condition. This is especially true when you are raising children or have adult dependents. If you die prematurely, the insurer pays a lump sum death benefit to your loved ones, that they can use however they need it. How much life insurance coverage does it take to replace a breadwinner’s income? This will vary from person to person, of course, but one rule of thumb is that you should purchase insurance of 5 to 10 times your annual income. Another method you can use to determine how much life insurance is needed is to use your Human Life Value. Besides replacing income, another major usage for life insurance is paying off debts. Mortgage debt is a prime target for coverage, as is credit card debt, student loan debt, and other sources of significant debt balances. Purchasing life insurance of sufficient value to pay off this debt provides your beneficiary or beneficiaries with greater financial flexibility in the event of your passing. We’ve all heard about the increased cost of children’s education. If you aren’t around to provide the funding for a child’s education, the death benefit from your life insurance can provide the money necessary to enable a child to get a college degree. In this regard, the tax-free transmission of funds to policy beneficiaries is helpful, as it ensures that your beneficiaries get the maximum amount of money possible from the life insurance company payout. With college education topping $50,000 a year at some colleges, this is an important consideration. Because the life insurance payout avoids the time and expense of probate and, as mentioned above, is generally inherited tax-free, it is a highly efficient means of passing wealth to your heirs. Using life insurance for wealth building and legacy creation enables you to leave a financial legacy that ensures that your beneficiaries will be taken care of long after you are gone. Life insurance coverage offers many additional living benefits beyond the death benefit. Your policy will often include a terminal illness rider, which pays out a lump sum if you are diagnosed as terminally ill.
Additionally, a chronic illness or long-term care rider can be added to your policy. These riders provide income if you are diagnosed with a chronic illness or need long-term care, at home, in a nursing home or long-term care facility. Finally, life insurance provides for funeral expenses. Funerals range in expenses, with the lower cost funerals starting at a few thousand dollars, ranging as high as $20,000 or more. One of the foremost benefits of life insurance is its ability to lower the stress that can be caused by worrying about the financial burden and well-being of your loved ones if you were not around to provide for them. The affordability of many life insurance policies in relation to their payout amounts means that you can attain this peace of mind without it breaking the bank. With the proper life insurance plan in place, you can sleep well at night knowing your beneficiaries are protected in the event of your passing. Ensuring that your children have the financial support they need if something should happen to you helps provide you with peace of mind. In cases where one parent stays at home to raise children, insurance can be an essential means of allowing a surviving caregiver to continue providing such care or to provide them the necessary time to transition back into the workforce. Even in cases where both parents work, life insurance can provide the funds necessary to continue providing child care services in the event of the passing of one parent. Marriage is a financial as well as a romantic arrangement, so it makes sense to reevaluate your financial situation, including your insurance coverage, upon getting married. If one or both spouses rely on the other’s income, you can use insurance to provide financial support in the event of the untimely passing of a spouse. Given the benefits associated with passing wealth down to your heirs via life insurance, considering its use in this capacity should be an important part of the estate planning process. In addition to providing funds to your beneficiaries that bypass the probate process associated with leaving money to your heirs via a will, funds received from a life insurance death benefit, as previously mentioned, are generally tax-free to the recipients. Additionally, life insurance proceeds can typically avoid the potential public scrutiny involved in leaving money to beneficiaries via a will that goes through probate. Individuals with very large estates will sometimes use life insurance in an irrevocable trust to reduce or help pay for estate taxes. Purchasing a home is a major financial commitment. If you do so with a spouse or partner, it can make sense to purchase life insurance in the amount of the home mortgage to ensure that they won’t be forced to sell the home in the event of your passing. This provides your spouse or partner with the financial wherewithal to be able to continue to live in the house if they choose to do so. Permanent insurance in the form of whole life and universal life insurance offers the opportunity to build up savings in the cash value portion of the account. Such accounts benefit from the tax-deferred growth associated with life insurance as well as liquidity options in the form of policy loans and partial withdrawals, while at the same time enabling you to maintain insurance protection for your beneficiaries. If you are maxed out in the amount you can contribute to retirement plans such as 401ks and IRAs, cash value life insurance can provide another source of tax-favored savings. Indexed universal life (IUL) and variable universal life (VUL) policies offer you the opportunity to partially or fully match the growth of the equity markets by investing in subaccounts which are linked to stock market indexes such as the S&P 500. Key person insurance and buy sell agreements using life insurance are a great business planning and succession tool. The key person insurance can be used to insure a key employee of the company. If the key person dies or is disabled, the policy can pay the business. Additionally, the policy may be structured as a type of incentive plan for the key employee for employee retention. A buy-sell agreement funded with life insurance allows the surviving business owner to buy out the deceased’s owners share of the business. This provides the surviving business owner the opportunity to purchase the entire business, rather than have the deceased owner’s family step into an ownership position. The concept of “infinite banking” refers to the practice of taking loans from your cash value life insurance policy and paying interest on those loans back to the policy – effectively paying interest to yourself rather than to a bank or other lender. While the insurance company will charge interest on a loan taken from your cash value account, if you are able to earn a higher rate of return on the borrowed funds, you can establish a positive arbitrage on these funds while still maintaining the benefits of being insured. Additionally, you are still able to earn interest on your cash value balance in the policy, which provides true compound interest growth on your principle. Another significant benefit of this system is that you can borrow against your cash value tax-free via a policy loan for any purpose you choose without having to wait until you turn 59 1/2. This contrasts favorably with retirement plans such as 401ks or IRAs, where in most cases you will face significant penalties for accessing your funds before reaching that age. Using life insurance to set up your own banking system provides you with a powerful tool for growing your wealth. There are many strategies that can be employed, from paying down debt, investing in real estate and planning for retirement. We just listed 7 fundamental reasons why it’s so important to own a life insurance policy and chances are we probably didn’t even mention why you wanted to get a life insurance policy in place for yourself. That’s the thing with life insurance, because it can accomplish so much for an individual, it’s almost impossible to guess why a particular individual may need it or what it. One of the first things that we like to do here at I&E is ask all of our new clients..
“What are you hoping to achieve by purchasing your life insurance policy? This way, we’ll have a better understanding of what “kind” of life insurance policy might be the BEST for them as well as begin to narrow down “which” life insurance company might be the “right” one as well. 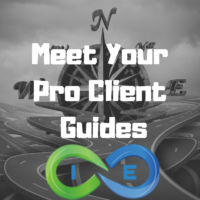 Here at I&E, we have chosen to remain an independent life insurance brokerage that is able to work with dozens of different life insurance companies. Which means that regardless of “why” you want to purchase your life insurance policy, there’s a really good chance that we’re going to have access to a policy that’s going to meet your needs at a really great price!